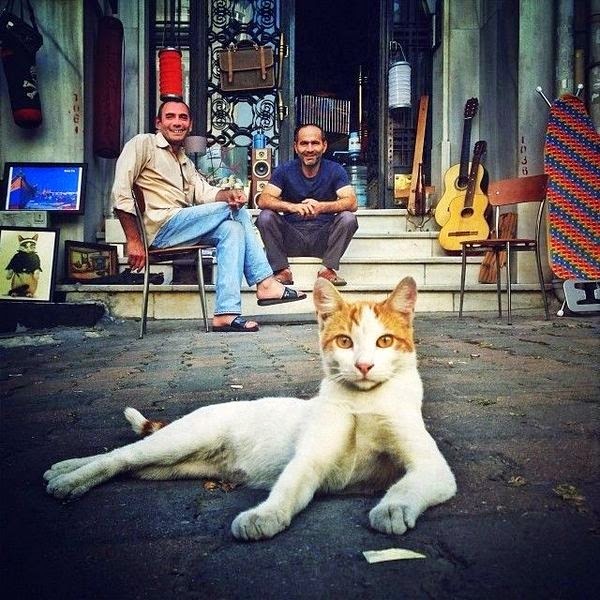 It's not the first time we've featured cats of Istanbul here on Traveling Cats. 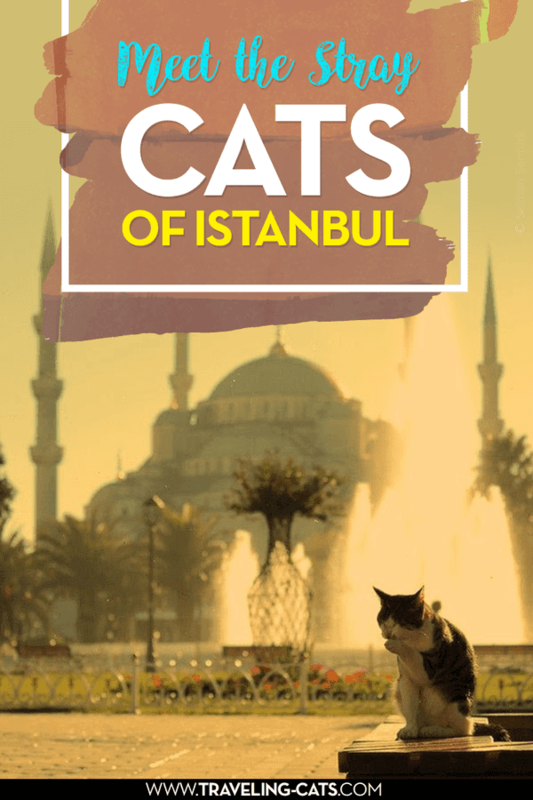 You may remember the famous Hagia Sophia cat, the many street cats of Istanbul, the cat of the Blue Mosque, and the cats of the Kaktus Café. 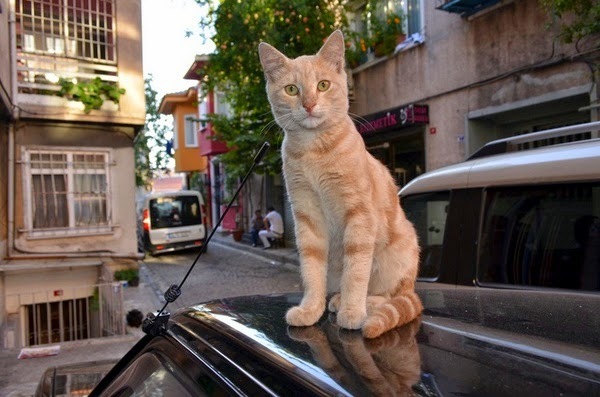 Istanbul is indeed awash in cats. You're literally flanked by felines wherever you go, most of them well-fed and clean. 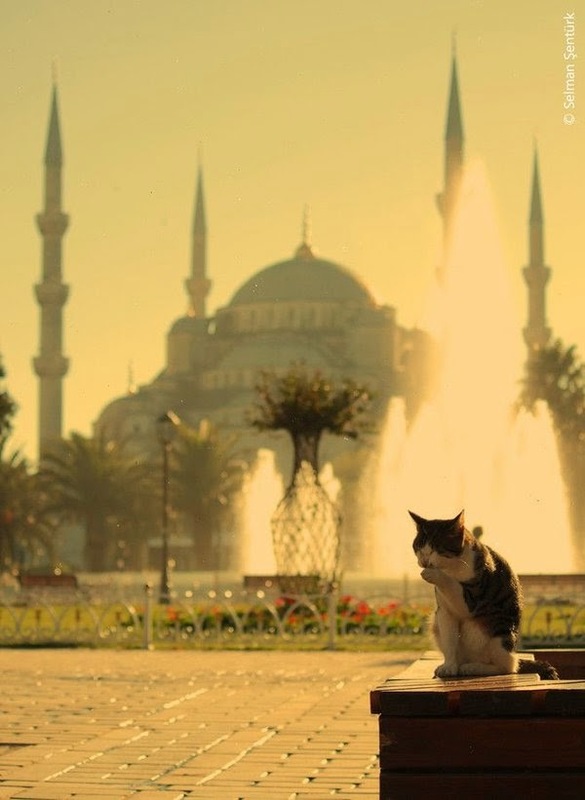 And if you ever go to Istanbul, remember the famous saying: "If you hurt a cat, you need to build a mosque to be forgiven by God." Now some of those made us chuckle. Have a fabulous Friday. Fantastic shots. I love the framing of the first one. The one with the palace in the background is an amazing composition. And of course, the third one is just silly-goofy. That first one is so great lol. What Beautful Cats! 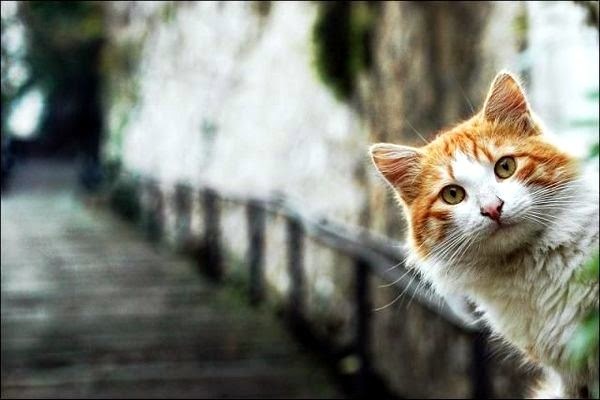 We are so glad Istanbul is good to it's Feline Cats! Every picture is beautiful. The 2nd picture is interesting. Beautiful cat photos, they are so cute. It sounds like I should be living in Istanbul, haha. I LOVE cats! haha this is so adorable! My niece visited Istanbul last summer and was amazed at all the cats. She said I would be in heaven there. No doubt! Ha! I love this. I was surprised at the amount of wandering cats we saw while in Europe. Oh my gosh, these photos are AMAZING!! Each one is perfect! 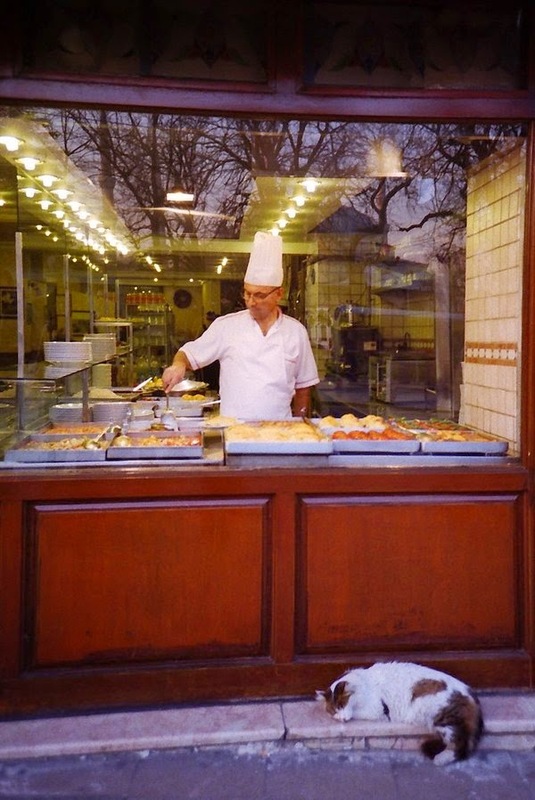 My favorites are the cat stalking the large bird, stuck in a rail, washing up in front of the Taj Mahal, and sleeping in front of the bakery. Each one would make a great postcard. meowloz two everee one in Istanbul frum all oh uz in TT !! Their cute is showing everywhere! Wow they awe sum purrretty comical kitties. My sister has visited Istanbul and she mentioned all of the cats. Those are all great photos. All the cats look so engaging. Wow all the photos are really beautiful! I especially like the second one with a kitty and a bird! I'd love to visit Istanbul some day! What GREAT photos!!!! These cats all look very content that's for sure! Je suis allée à Istanbul ... et il y a effectivement beaucoup de chats ! 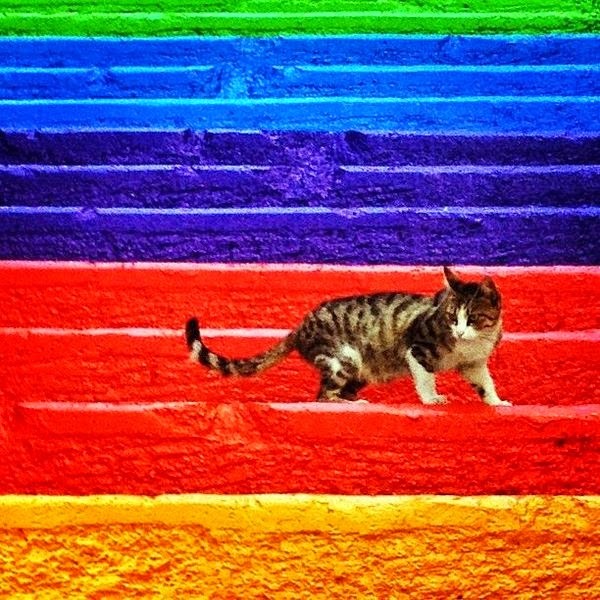 Adorable, fun and beautiful photography of the cute cats! I think those photographs are brilliant Vanessa. 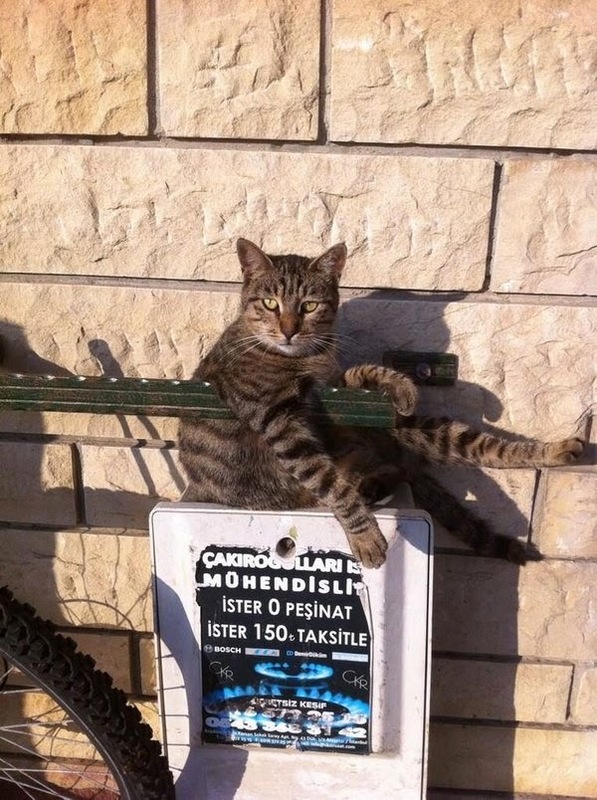 You'd get some great cat pictures in Skiathos. They are amazing. My heart goes out to each and every one! I'm glad they're well taken care of! Istanbul sure has a lot of beautiful kitties! These are wonderful pictures! Happy Valentine's Day!! What great pictures! 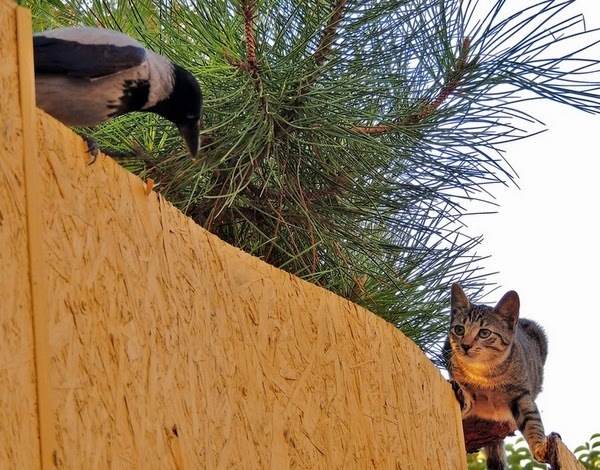 That cat better watch out for that bird! Istanbul is on my bucket list! I love this! I took a lot of pictures like this when I was in Rome, they have TONS of cats there. What pawsome pics! Happy Valentine’s Day! What gorgeous photos! Hope you had a lovely Valentine's Day! Awesome photos! Love that quote too -- wish everyone felt that way!!! Have a nice week, sweetheart! It's always nice to see some variety in cats. Sometimes you forget there are actually a lot of different breeds and some of those really stood at as breeds I've rarely seen, if ever. You see how plump that cat is below the cook! the tabby sitting sideways looks like my girlfriend Crepes! hahaha!!!! Love this set of photos! So many funposes from so many feline characters. adore the one hanging over the sign. Love the one on the third photo, cats can get into the funniest positions.